Escape to your very own ski retreat in the Colorado mountains with the luxurious timeshare units at Marriott's Mountain Valley Lodge. Find resale and rental postings priced up to 70% lower than retail costs today. 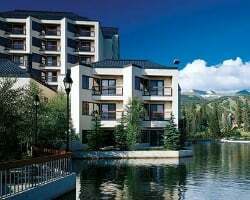 Nestled in the towering Rocky Mountains of Colorado, the Marriott Mountain Valley Lodge provides a picturesque mountain retreat in the exciting destination of Breckenridge. With an incredible proximity to the area's best slopes, the resort is a skier's paradise—mountain lifts are just minutes away, and the charming Main Street area of Breckenridge is just around the corner. 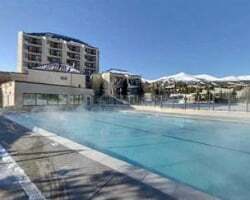 From the chalet-style design to wonderful on-site features like the heated outdoor pool and full-service fitness center, you'll have everything you need to create a one-of-a-kind vacation in Breckenridge. The accommodations at the resort include well-appointed studios and one bedroom villas, offering enough space for couples or groups of up to four. Perfect for those who want to hit the slopes in winter or hike the towering mountain peaks in the summer, the rooms at the Mountain Valley Lodge are equipped with modern furnishings to ensure a comfortable stay. Common in-unit amenities consist of fully-equipped kitchens, private balconies looking out toward the mountain slopes, and luxurious whirlpool-style tubs. Are you ready to find your very own accommodations at the Marriott Mountain Valley Breckenridge? Fill out the form on this page to learn more about ownership opportunities at the resort, or call a representative at 1-877-815-4227 today. Buying a timeshare resale at the Marriott Mountain Valley Lodge Breckenridge can provide you with the same amazing vacations and exclusive owner benefits for much less than what others pay. Unlike timeshares offered directly by a resort, timeshare resales are sold by their current owners. This results in the deal of a lifetime—you can get the same amazing vacation accommodations and perks for thousands less. Timeshare resales at the Mountain Valley Lodge are often available for prices up to 70% lower than retail costs, allowing you to save big. Resales at the Mountain Valley Lodge often come in the form of deeded fixed and floating weeks, giving you a great deal of variety in choosing an ownership interval that works best for you. Mountain Valley Lodge timeshares fall within Marriott's Bonus Time, Silver, Gold, Platinum, and Platinum Plus seasons, resulting in an astonishing number of price points and periods of ownership to consider. Your timeshare resale at the resort could also open up more vacation benefits through the Marriott Vacation Club. The Mountain Valley Lodge is affiliated with Marriott Vacation Club. With a Mountain Valley Lodge resale, you can make reservations using your deeded Marriott week immediately, but you can also unlock further exclusive benefits if your upgrade your ownership. 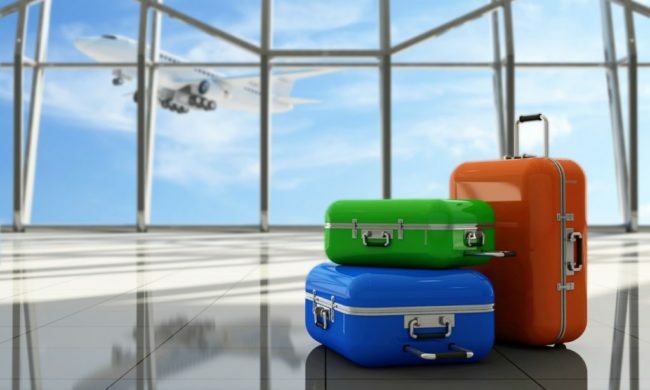 For example, upgrading to Marriott Vacation Club Destinations points could lead to more flexible vacation planning for your yearly ski trips. Furthermore, points can enable you to seek other vacation options at additional Marriott resorts around the globe. The Marriott Mountain Valley Lodge is an Interval International affiliated resort, giving you the opportunity to use your timeshare resale to travel the world. With a separate Interval membership, you can trade your accommodations in Breckenridge for stays at other comparable resorts worldwide. The Mountain Valley Lodge is a Premier-rated resort with Interval, meaning when you seek to trade your timeshare, you'll be able to choose from a list of similarly ranked resorts. The Mountain Valley Lodge resort is packed with wonderful on-site amenities and features to make your vacation complete. Start at the heated swimming pool or hot tub to relax at the base of picturesque mountains. Skiers will want to take advantage of the resort's rental equipment service, as well as the free ski storage. Visit the exercise center to make sure you stay on top of your fitness goals, or explore one of the biking or hiking trails that lay just beyond the resort's grounds. Perhaps the Lodge's biggest amenity, its location, offers endless opportunities to explore. Catch a lift to the slopes just steps from your accommodations at the resort, or explore Main Street Breckenridge to discover quaint shops and excellent restaurants. Summertime visitors will love to hit the links at Breckenridge Golf Club or trek the Blue River Pathway. Take advantage of the resort's free parking to drive to the neighboring resort town of Vail to enjoy more snowy peaks and hiking trails. 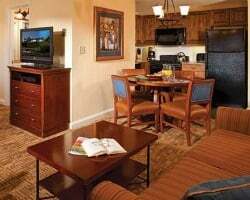 Already Own at Marriott Mountain Valley Lodge?